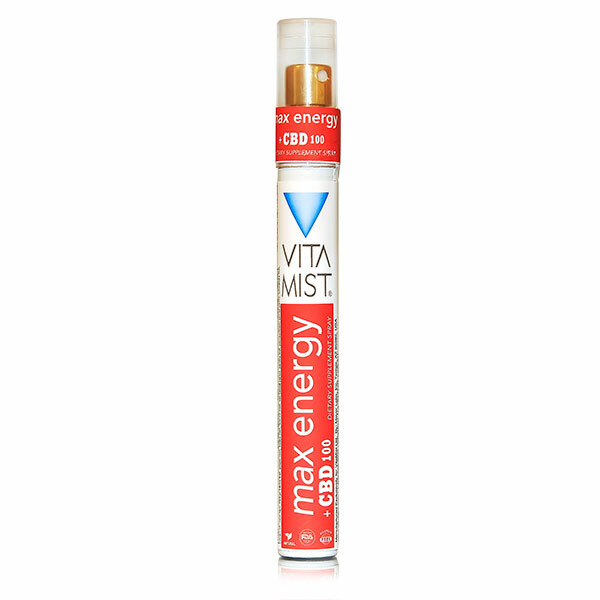 Energy + CBD in just seconds! When you need an extra boost you don’t want to wait. You want to feel more energetic now. Max Energy takes just seconds to take, so it gets in your system fast. Until afternoon naps become an accepted part of the work day you may need a little help staying sharp and alert. Coffee and soda help a little, but how long do they last before you’re back for more? But with a Max Energy you can leave grogginess behind and sail through your day. Instantly you can feel Max Energy working, helping you recapture the bright, alert feeling you need to power through your day with no sugar or caffeine crash. Includes the essential eight vitamins in the B family including niacin, riboflavin, thiamine, and biotin, Iron, Magnesium, Coenzyme Q10 (CoQ10), Vitamin D, and specially formulated energy boosting supplements. CBD has many benefits for the body and research suggests that this non-psychoactive compounds helps chronic pain, anxiousness, inflammation, and sleeplessness. Our premium science-based formulas are derived from organically grown hemp which is combined with our proprietary blend.